I’m not sure why people still post their relationship status publicly. If you are close enough to me, then you know whether I’m in an intimate relationship or not. If you aren’t close to me, well then, get closer and find out if you wanna know. It’s that simple. Haven’t you noticed anytime somebody updates their relationship status it just creates a bunch of stupid drama? I don’t need to deal with anybody getting updated on whether I’m “Single” or “It’s complicated” or whatever else. I’m not 12 years old and if you are, well then, it’s time to get smarter than all your friends. So… how to hide your relationship status? That’s it! 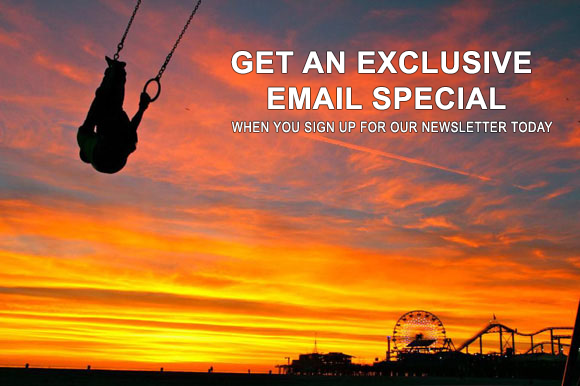 You could do this for ALL the sections to your hearts desire. 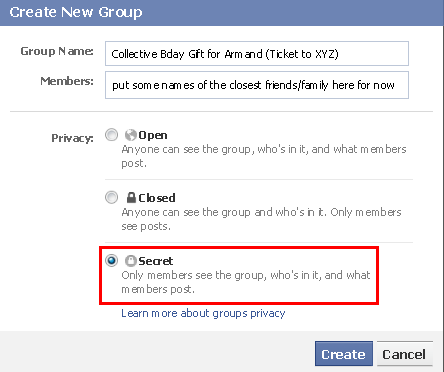 Make a Secret Facebook Group To Get a Surprise Collective Gift for Someone! I did this for my brother. Several weeks preceding his birthday, I attuned myself toward thinking what gift he would love and knowing him, I knew he will take an experience over a physical gift any day, so I decided to get him a ticket to a 5-day music and arts festival he wanted to go to. Problem was, the ticket was $260 and I didn’t have that much money either. 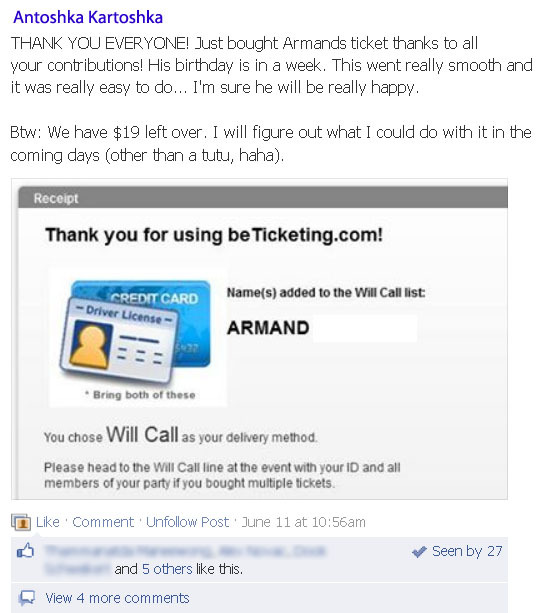 So I decided to create a Facebook Group, set it to secret, named it the “Collective Bday Gift for Armand (Ticket to ABC),” and I invited people that were close to him and would potentially help get him a birthday gift. Create a group, give it a title like this, make it secret. 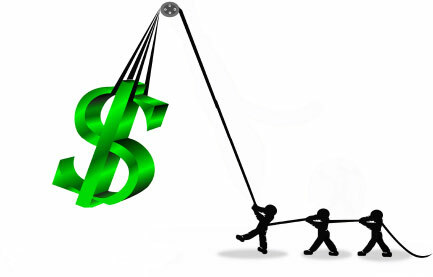 The first post I made explained in detail about what the point of this group was and gave my paypal e-mail address so that people could send money to me using PayPal. I also told them to invite any other friends they think may want to contribute to this also and to NOT invite Armand to this group as this was going to be a surprise. For every two or three donations I received, I made a new wall post in the group tagging the donors and thanking them for their donations. I purposely didn’t say how much each person donated as that is irrelevant. You don’t want to make anyone feel bad for donating too little (or too much!). What you do want to say is the total you’ve reached. This helps encourage the stragglers who are lagging to donate too, especially when they realize there’s only a few bucks left to hit the goal. People started sending an average of $10-20 bucks each and by the 3rd week we easily had the $260 needed to get his birthday gift. This worked so well that we actually went over by $20 and I had to stop accepting donations and there were some people who were bummed they didn’t partake in time. Once I had the ticket, I took a snapshot of the receipt that I had bought it and uploaded it to the group to show everyone I got the ticket. Then, on the morning of my brothers birthday, I added him to the “secret” group and then made a post in it wishing him happy birthday, explicitly tagging his name (@Name) so he’d see that in his notifications too. He was quite shocked and elated and loved that his gift was going to be an experience (and not a physical thing). He was able to also go down the list of wall posts I had made to see who had donated and he was thanking each one individually. The power of this type of gift is in the power of numbers. You just have 10 people give 20 bucks and you got yourself 200 bucks, how easy is that? By the way, do you want to do this for someone you love, but not sure what to get them? Check out this article I wrote on How to Buy a Good Gift. Hashtags work on Facebook. What does this mean for the English language? So what is a hash-tag? Officially? Officially a hash-tag is a sort of meta-tagging to help categorize posts and find more posts about a similar topic. So if you end your post with #HurricaneXena, anybody talking about or affected by the currently nonexistent Hurricane Xena will pop up when you click the hash tag. So just like how @ is used to apply to one person in particular, # is useful when it can be applied to a large group of people wanting to connect on a specific thing. Unofficially? I would say it’s like a modern day emoticon that’s just another way for us to express ourselves. Sometimes it’s used exactly like the old school asterisk like *rolls eyes* and *face palm. * I used to always portray body-language by using the double- colon, like ::shakes fist in air:: and ::shrugs:. So you could see how and why hashtags easily devolved from a useful sorting system to a double-reverse ironic gesture or for adding a rimshot to your own joke. Now you can actively find people discussing subjects that you care about outside of your friends list. But only posts that are set to be shared with “Public” will appear to people you are not friends with if you use a hash tag. Is this the end of the English language? Boy, there are some dramatic people out there. People who claim that hashtags are ruining the English language. Now that it’s on Facebook, it’s definitely the end of the language, right? WRONG! Language is ever changing! People spoke very differently 50 years ago. Were they speaking incorrectly or are we? People misusing your/you’re and there/they’re/their are ruining the English language. Just because hashtags aren’t in the dictionary doesn’t mean they are wrong. Many things weren’t in the dictionary before they finally were accepted. There’s a reason why we don’t speak like Shakespeare anymore. Because change is the only constant and that includes linguistics. This is just a new development in the way we communicate and it won’t destroy the English language anymore than e-books and blogging have “destroyed” literature. Or any more than air quotes have ruined talking. Why explain the reasons for your excitement when you could just lazily throw in the #excited hashtag? I would love it if people tried explaining why something has excited them or what they mean rather than just using a hash tag. People will understand you better. Hell, maybe you’ll understand yourself better too, as an added bonus. Stupid ways of using a hash tag? #Usingitasarunonsentencesmakesnosense. I mean, you seriously defeat the purpose of a hashtag. Yeah, it might be funny to you because you wrote it and you think you’re clever, but it’s really just very hard to read. Or you know what else is stupid? #Creating #sentences #out #of #hashtags #like #this. Hashtags are meant to allow people to see your related posts, explore a topic, etc. When you hashtag something that nobody else ever has or will, you’re kind of defeating the purpose. If people keep hashtagging random, useless words, it doesn’t make it useful anymore. So anyway, hash tags could be annoying #when #people #needlessly #put #them #everywhere but they are useful in that they can be used to solidify intent, feeling, or describe and they still work as search indexes. Compared to the lack of grammar and punctuation, the hashtag is the least of our problems. For some reason if I publish a post (I use wordpress) and head over to Facebook to share it on my facebook page, the thumbnail, title and description (the excerpt) won’t load properly. Y U NO LOAD PROPERLY? Mysteriously, it would work properly if I just gave facebook enough time (usually a day or two). So that made me think it was a browser caching issue, but nope. It was something from the facebook side of things. I discovered Facebook’s Debugger Tool on the developers side of the site. I pasted the link that wasn’t loading properly and clicked debug to see what was wrong. I couldn’t figure out how to fix what it recommended, so I didn’t do anything. I decided to try one more time to see if the link would load properly and LO AND BEHOLD, it loaded properly this time. So I don’t know what’s going on when I paste the link into the debug tool, but when I do and go back to post the link on my timeline, everything loads properly (including the thumbprint, title and description). I don’t have to wait a day anymore. It just makes things work. Ta Da! Solutions, I has them. I am a magician. 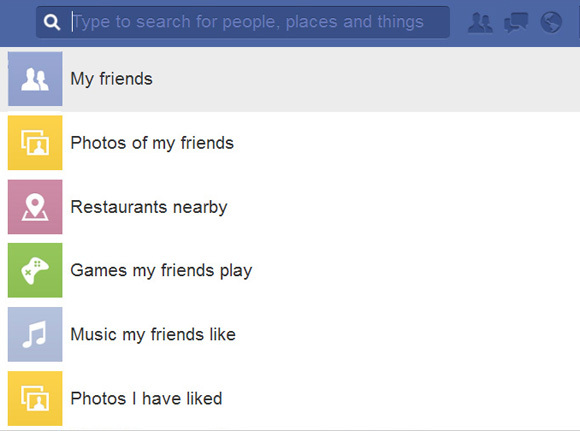 Facebook Graph Search: How Creative Can YOU Get? If you haven’t noticed yet, Facebook redesigned the newsfeed with more emphasis on photos and it highlights big, bold stories. You may new actions appear in the feed as well. More importantly, there’s now Facebook Graph Search which could be really smart in the years to come, considering this is just Version 1.0 to us. Search for friends or anyone else by name. You can combine phrases together, or add things like locations, timeframes, likes and interests to get more specific. It happens often where you paste the link into your status update for your personal page or business and the thumbnail doesn’t appear or the wrong one appears. 1. 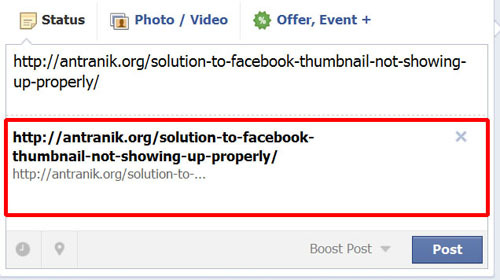 Simply paste the link you’re trying to post into Facebook’s Debug Tool. 2. 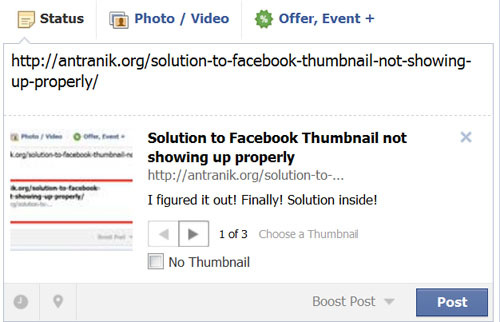 Then go back to your Facebook page and try to paste the same link again and the thumbnail should appear. I don’t know why this works, but it does for me. I don’t even have to do anything other than that! We all see this button nowadays. 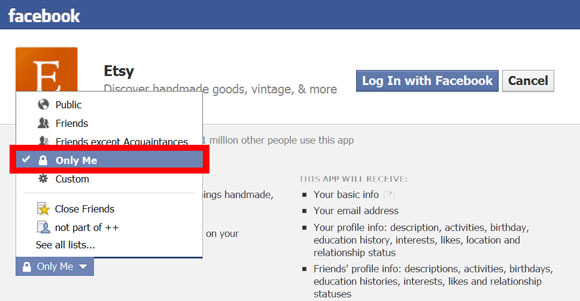 Many websites now have the option of signing up or logging in using your Facebook account credentials. 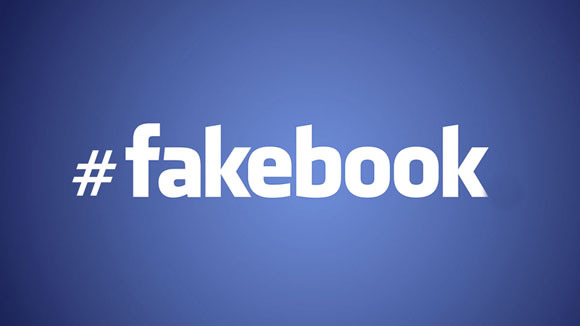 While this is very convenient, many of us don’t want other sites to post on our timeline without us knowing what it is. There’s a way to make sure if anything does get posted, that only YOU will be able to see it. 1. 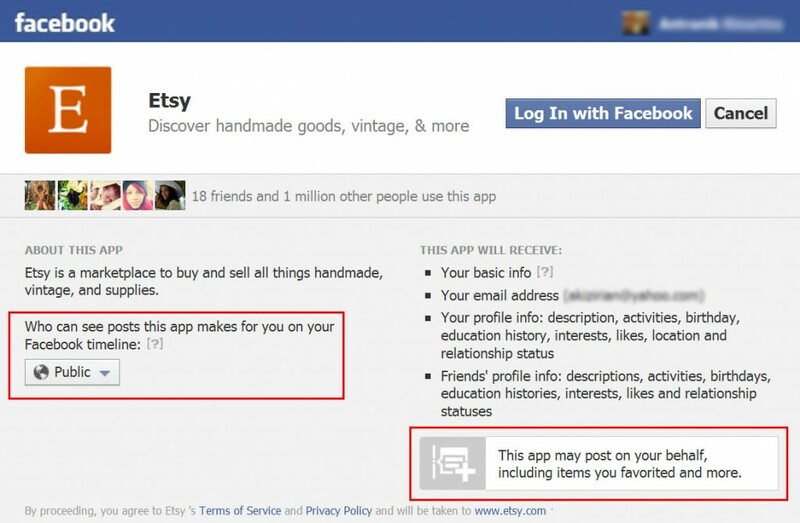 For example, if we go to Etsy.com and want to log in with Facebook, the following window will pop up. Read the info in the red boxes. 2. Click on Public and then click on “Only Me” so only YOU can see stuff on your Facebook timeline posted by this site. That’s all there is to it. Now anytime there is a post by Etsy (or whatever site), they will appear on your timeline and in your News Feed but won’t be visible to anyone else. 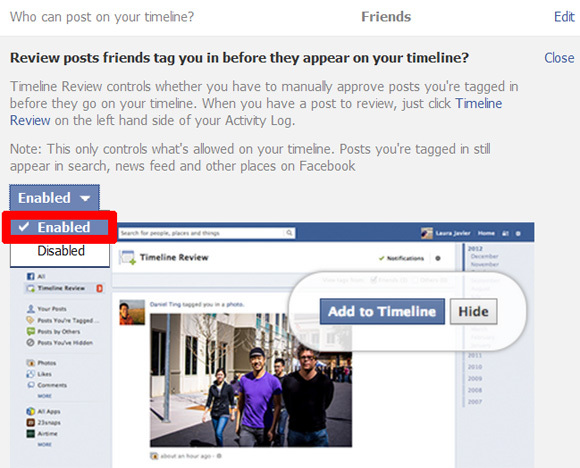 However, if someone else makes a post and tags you through the site, that will, by default, be posted on your timeline. But there’s a way around that, too! Read this post on how to make it such that photos or posts that you’re tagged in, have to be approved by you before they post on your timeline. 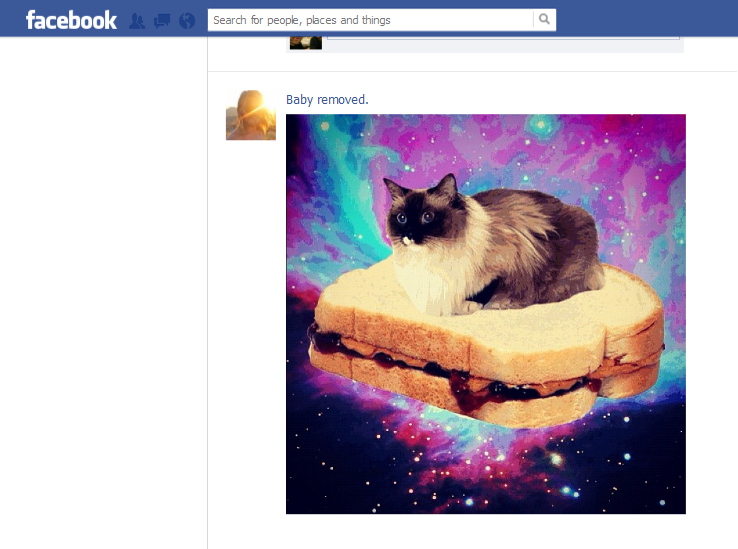 Replace Baby Pics on your Facebook Feed with Cool Things, like Cats. I’m winning so hard right now. Right click on the time or date it was posted and copy that link/url. The time/date is usually below the persons name or the photo. It’ll say something like, “8 minutes ago” or “Yesterday” or the date and time if it’s been more than a couple days. 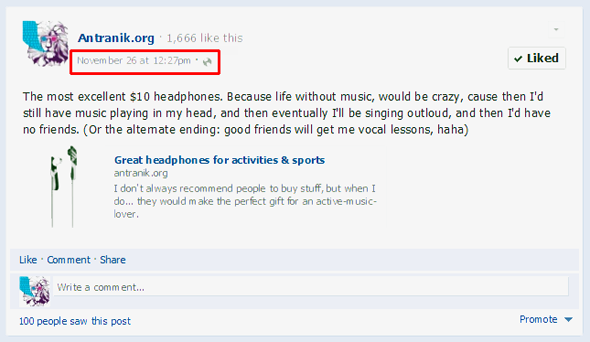 Click the time/date to see the page with only that wall post.